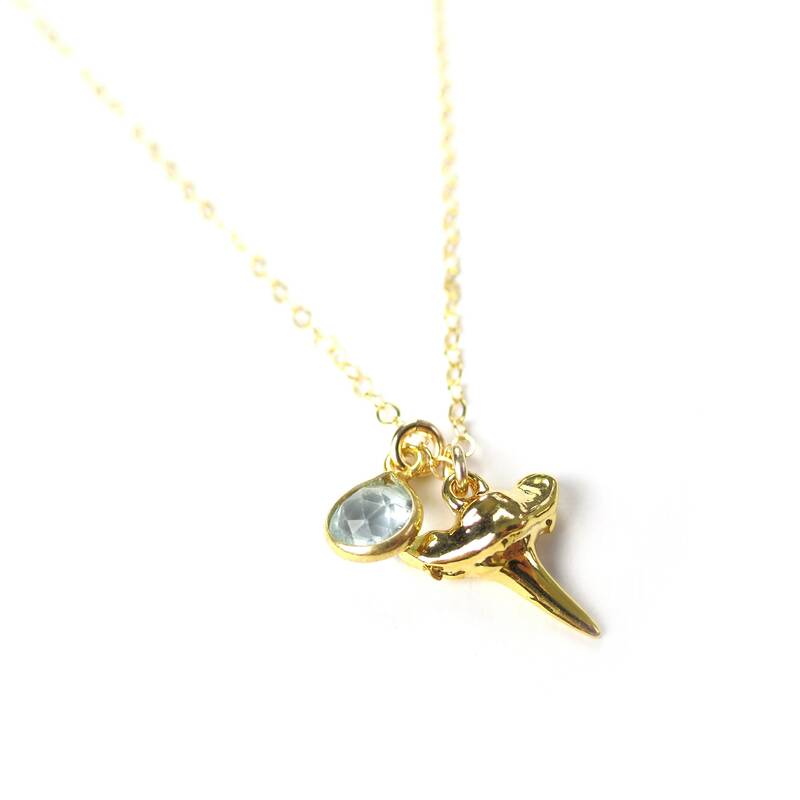 This beautiful little shark tooth necklace is perfect for all shark and beach lovers around the world! 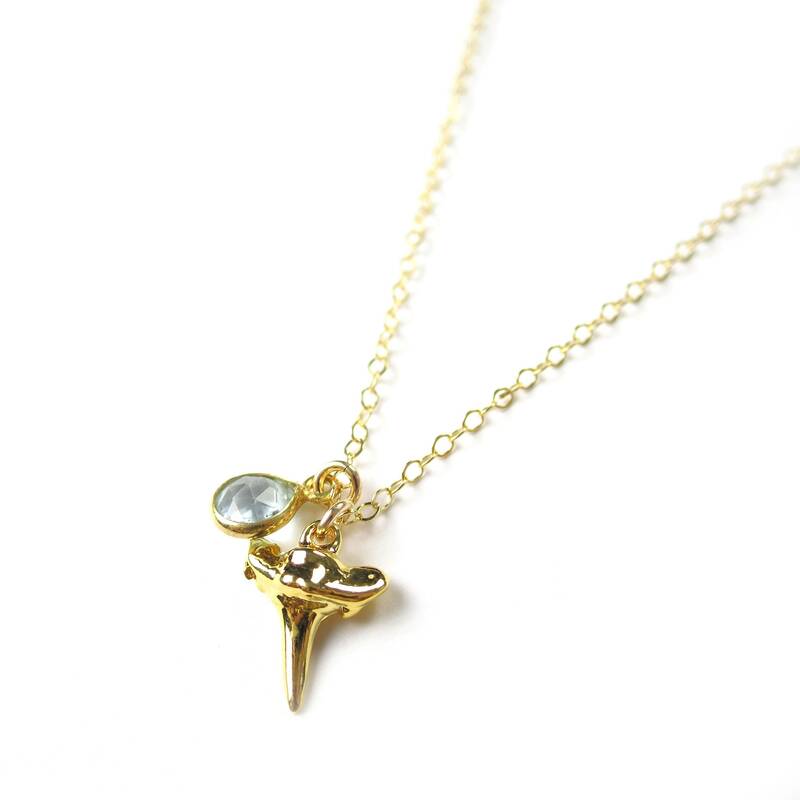 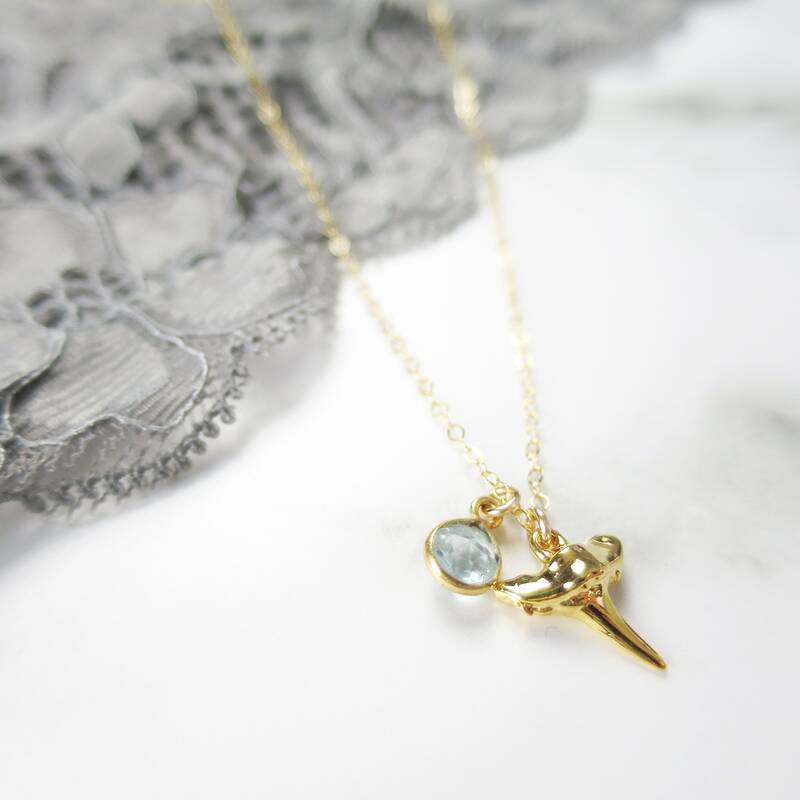 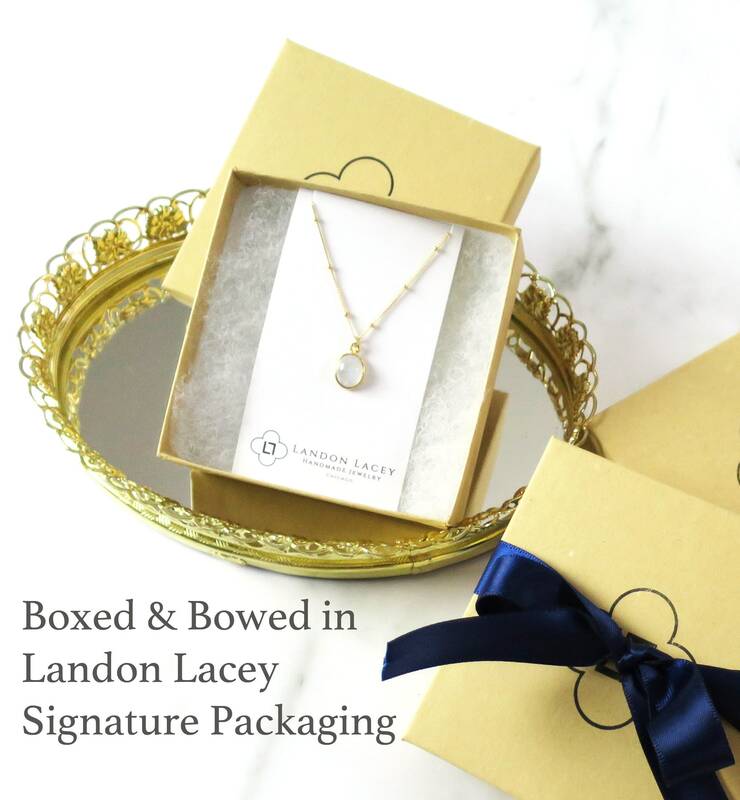 This 24k gold plated shark tooth is paired with a tiny, beautiful aquamarine gemstone for the perfect underwater piece. 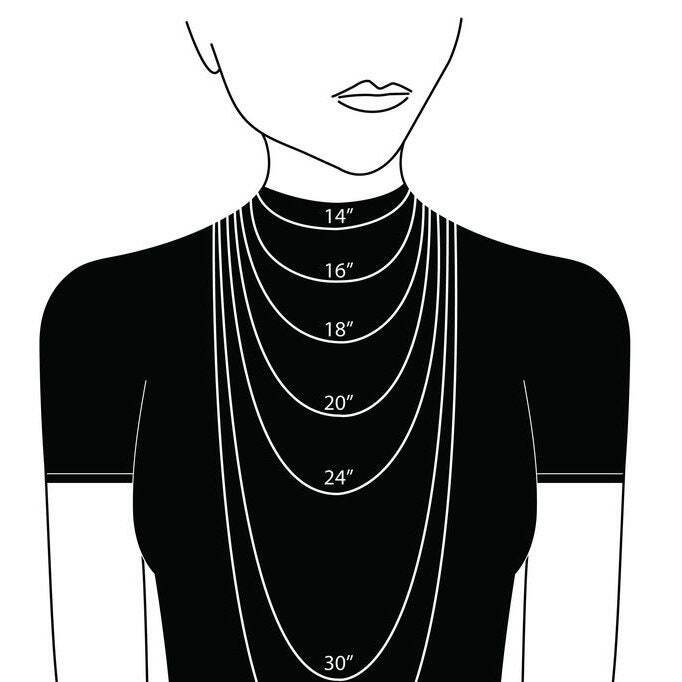 Check out the second photo in this listing for an idea of size. 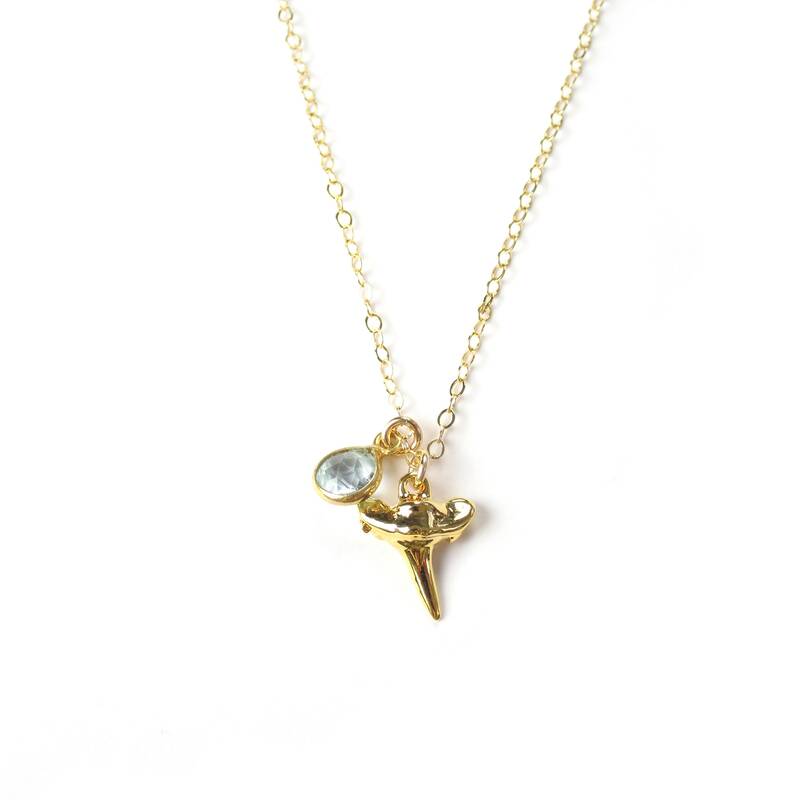 The model is wearing the necklace at 18".